A place for English speaking sofrim (scribes), magihim (examiners), rabbis and vendors of Stam (Torah, Tefillin and Mezuzah scrolls) from around the world to communicate, share ideas, ask questions and offer support and advice. 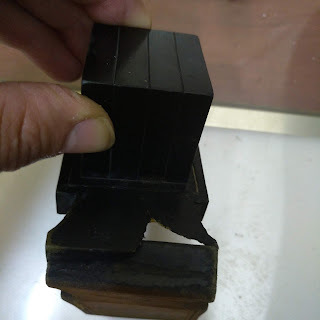 Can anyone please tell me what is the din if a sofer wrote repaired cracks or broken letters in tefillin parshiyos and cannot remember if he said lesahim kedushas tefillin, or worse, he is doubtful if he said it? bepashtus the tefilin are safek psulim. but are you definite that the cracks where pasul, IE the letters where definitlt broken - maybe the sofer was only strengthening the dyo, but it wasn't mamash pasul?? Don't we say that since there is a chazakah that he normally says it so its bechezkas kashrus? Yehoshuah can you ask Rav shammai please, I am interested to know his opinion on this. 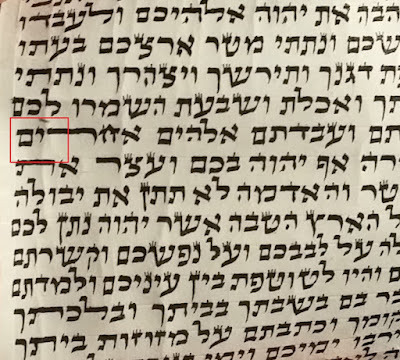 If the sofer had once said in their life or for sure that day that they are writing everything "L'Shem kedushas...." then that could help as a tziruf to be makil. On top of the fact that it's hard to say there was no machshava what so ever b'frat that they were coming to fix the tefilin. If they would remember which oisios they fixed then c'dei to go over them again and say l'shem kedushas tefillin. If missing all these things then he said very hard to be "machshir". I said does that mean "pasul"...However he didn't want to go that far. He said also that in a case where the ikar tzurah of the oisoos was kiyum (most likely the case as we are talking about fixing tefillin) and only a few cracks, hefsekes, etc. then for sure a tzad to be makil like what R' Wosner brings down in a teshuva (see here: http://www.hebrewbooks.org/pdfpager.aspx?req=1418&st=&pgnum=28.) 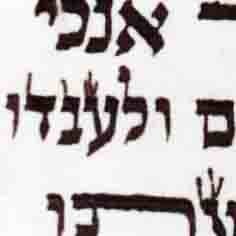 On top of that I noted to R' Shammai when I spoke to him the shitas of the Ramban and "shar poskim" that the Maharsham brings that you don't need kasiva l'shmo by tefillin (See here: http://www.hebrewbooks.org/pdfpager.aspx?req=1528&st=&pgnum=129 -- end of teshuva 111. ) However a big tzrich iyun where this Ramban is, who else says it and if there is a possibility to use it as a tziruf. Im col zeh...It seems like makom to be makil in such a case. I remember your post about this and I understand you. He says it more as a "back-up". But I realize all of your concerns about this hanhagah would also apply in such a case. R' Shammai mentioned as well that there were others (big poskim) that gave this eitzah. Tzrich iyun. How about the Bais of Uleovdo? אמנם איני זוכר שיש דין מפורש בקרע המעברתא, מ"מ נראה שאין להכשיר קרע גדול כל כך. אבל אם ירצה לתפור עור או להדביק עור על המעברתא - כדי להיות המעברתא שלימה - רשאי. Content and opinions expressed on this forum should be viewed as conjecture only and do not necessarily represent a final halachic ruling (unless otherwise stated). One should not use this forum as a substitute for proper "shimush" or a proper rabbinic ruling. Acceptance of someone as a member on this Forum shall not be deemed as a validation of their halachic qualifications and competence to be a sofer. This Forum does not assume any responsibility for such certification. Can anyone tell me what is a din about this kind of MEM in word mezuzot . I think it looks like PEY just inverted. To author posts or leave comments you must be a member. This forum welcomes members of all backgrounds and circles within the world of Sta"m.
All posts and comments can be deleted by members at any time. Introducing members of this forum (listed in order of joining date). User name: Simchah Peretz G.